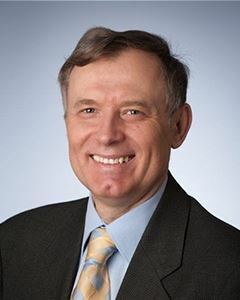 Krzysztof Bledowski, Ph.D., is council director for MAPI's Treasury, Quality, and Logistics Councils. In addition, he coordinates their annual forum on financial planning and analysis. Kris monitors and writes on developments in Europe and the eurozone as a primary area of expertise. He joined MAPI in 2006 after having previously served as a senior economist at the International Monetary Fund and as a chief economist/strategist for Commerzbank Central Europe/Wood & Co. He occasionally appears as a guest analyst on TVN CNBC-Biznes (Poland) and is regularly invited to speak at industry functions, such as with the Center for European Policy Analysis, Foreign Service Institute, American Chamber of Commerce to the EU, and Plexus Corporation. Kris holds a Ph.D. in economics from Polish University, London, UK; an M.A. in economics from Boston College; and an M.A. in economics from Warsaw School of Economics (SGH), Warsaw, Poland. Note: Registration is open through Wednesday, 7-11-18.